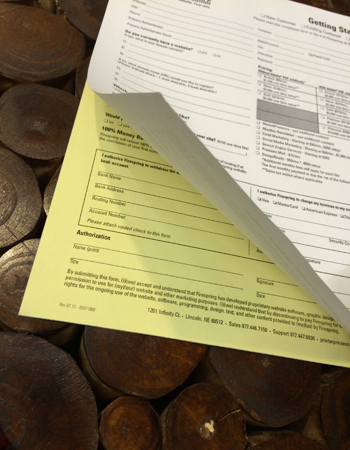 Our company has been printing all type of business forms for 23 plus years. Whether you need bond and carbon, carbonless, snap outs or edge glued fan-a-parts, we can print virtually any multi part business form. Invoices, checks, purchase orders, way bills, or any custom printed form you need, we got you covered. You need special wrap around books or die cut custom, we are the company who can make it happen.